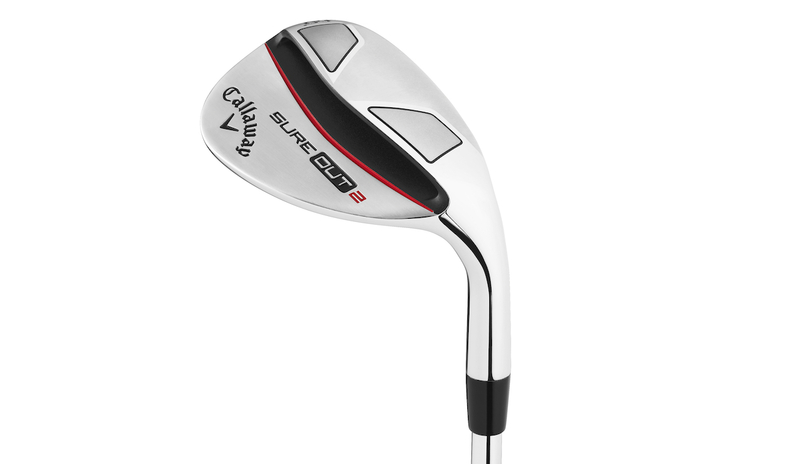 Some badly needed improvements for the @CallawayGolf Sure Out wedge. Greetings class. We’re going to start today’s story with a little group exercise. Everyone who makes their living playing golf for money, raise your hands. Good, good – you guys are excused. See you next time. Next, everyone who is a high performing, competitive amateur – you’re excused as well, as is anyone who’s a mid- to low-single-digit handicap or better and who practices at least three or four times a week. Actually, the only people who need to stay are those of you who play golf for fun, but the fun dwindles considerably as you get closer to the green and goes away completely when you land in the sand. And if you firmly believe those who bleat “GET LESSONS” really need to get over themselves and just lighten up because not everyone is as avid as they are, you guys can stay too. Now that we have your attention, let’s proceed to our latest release du jour– the new, improved, updated and expanded Callaway Sure Out 2 wedge. Golf is a game, and games are supposed to be fun, right? If you’re a weekend warrior, high handicapper or just a regular guy/gal who likes playing golf, but with a wife/husband, kids and a job that actually requires you to show up every day, you really can’t spend as much time practicing as you’d like. That’s life, and for that golfer, the sand – and the short game in general – are Five Alarm Fun-Suckers. 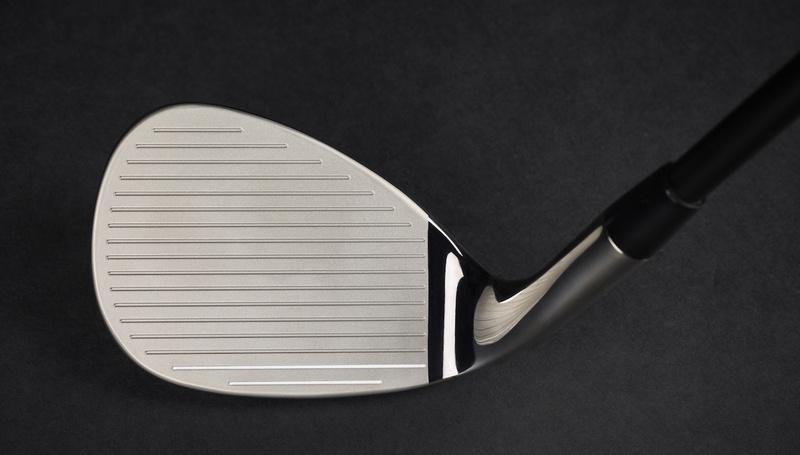 The Callaway Sure Out 2 certainly isn’t new or even unique technology (Hogan gave us the original Sure Out years ago), but the super-wide flanged wedge idea does work, as proven by a MyGolfSpy test a little over 16 months ago. Unfortunately for Callaway, the original Sure Out was the worst performing of the three specialty wedges tested, and it wasn’t close. The MyGolfSpy test exposed two glaring deficiencies in the Sure Out. First, despite its name, the Sure Out wasn’t – it fared no better for our testers than a traditional wedge in actually getting the ball out of the bunker. Second, the overall proximity to the hole was actually worse with the Sure Out than with a traditional wedge. For perspective, the other specialty wedges tested – the Cleveland SmartSole and the infomercial special C3i – both performed markedly better than the traditional wedge. 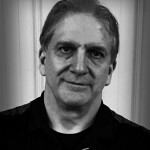 So, for the Sure Out – a wedge designed to make getting out of the sand damn near automatic and getting closer to the hole a piece of cake for the weekend warrior – that’s kinda not good, not to mention ironic. Clearly, there was room for improvement. Callaway may not have been influenced by our test, but the company does say it acted on feedback and testing for its Sure Out 2 upgrades. 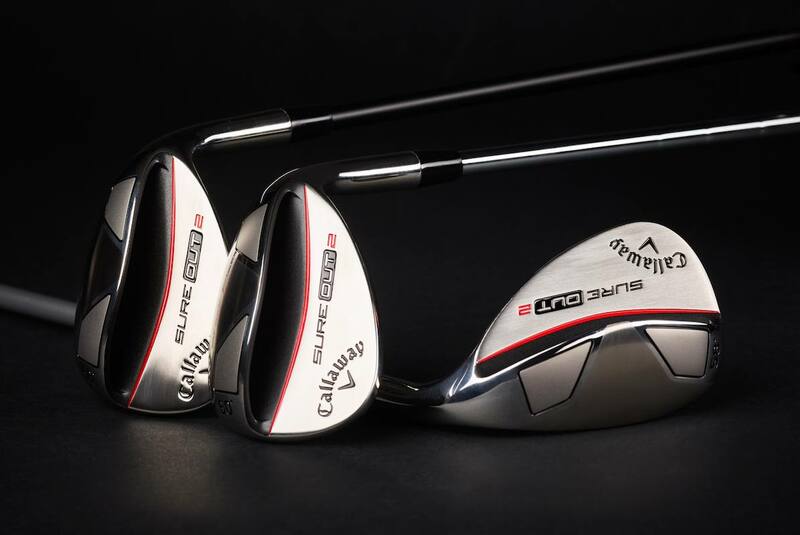 First, Callaway says it has enhanced the sole radius and bounce angle and has added some heel relief – which ideally should improve sand performance and around-the-green playability. As with the original, Sure Out 2 features coast-to-coast face grooves (a la the PM Grind wedges) and there’s a new Lamkin Step Down grip, which features three markings to help the target golfer figure out where to place his or her hands for different distances. The original Sure Out was available in only two lofts (58oand 64o). Sure Out 2 brings more options with a 56oand a 60oadded to the mix, and all lofts will be available for both righties and lefties. The shaft lineup is lightweight across the board (again, consider the target demographic), with the KBS Wedge 90 in steel and the UST Mamiya 65 and Fujikura Women’s 50 in graphite. As this is the second iteration of Sure Out, it’s safe to say there’s enough of a market for this type of club to keep it current. Cleveland is on its second iteration of SmartSole (the calendar suggests a third might not be far off), and the C3i is still out there and available online, and we haven’t even discussed the Alien Wedge. Bottom line: it’s reasonable to presume this is now an actual product category. Obviously there’s the traditional blade-style wedge, and Cleveland has done a nice job of establishing its CBX as a Game Improvement wedge. This category, seemingly, is a Super-Duper Game Improvement wedge because, you know, an awful lot of people just play this game for fun. Sure Out 2 hits the stores and Callaway’s website this Friday. It will retail at $119.99. For more information, visit Callawaygolf.com. I also have the 1 out for Tour Edge. It took me a while to swallow my pride and start using it but it works great and half the price of the Sure Out. The original Sure Out was used extensively at the 1963 US Open at Brookline. The rough was 5 inches plus and Walter Burkemo brought it out to the practice area and many of the tour pros tried it out and liked it. It could get it out of the thick rough and have the ball settle down quickly. Maybe some others will try it too. I have Tour Edge’s version called the “1-Out”; as a high handicapper I can attest to the usability and helpfulness of this type of club not only in greenside bunkers but also in tight, muddy or other messy lies around the green. POSSIBLY JUNK BUT I WILL WAIT TO TRY IT AND MAKE THAT DECISION MYSELF. I don’t know why the original Sure-Out faired so badly. It certainly has worked for me. I love it. I’m not sure how the new model could be better. Any better results for me out of sand would require lots of lessons and practice, not another club.